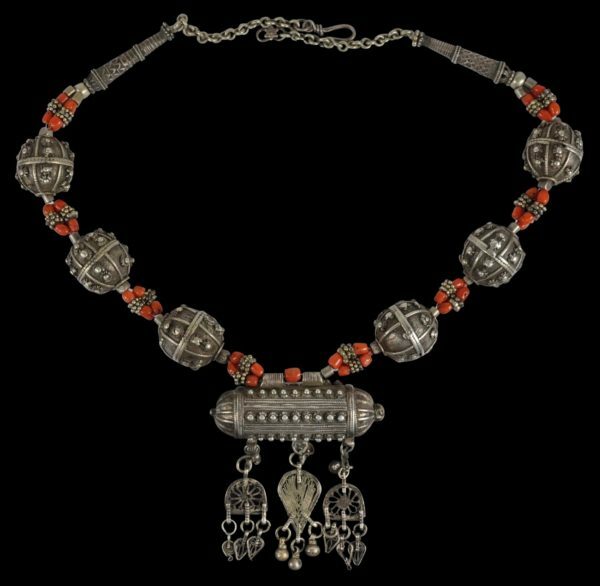 This wearable necklace of six hollow silver beads; coral and small silver granulation beads, and an amulet box (hirz) with a filigree pendant medallions, is from the San’a region or the Mahwit area of western Yemen Yemen. 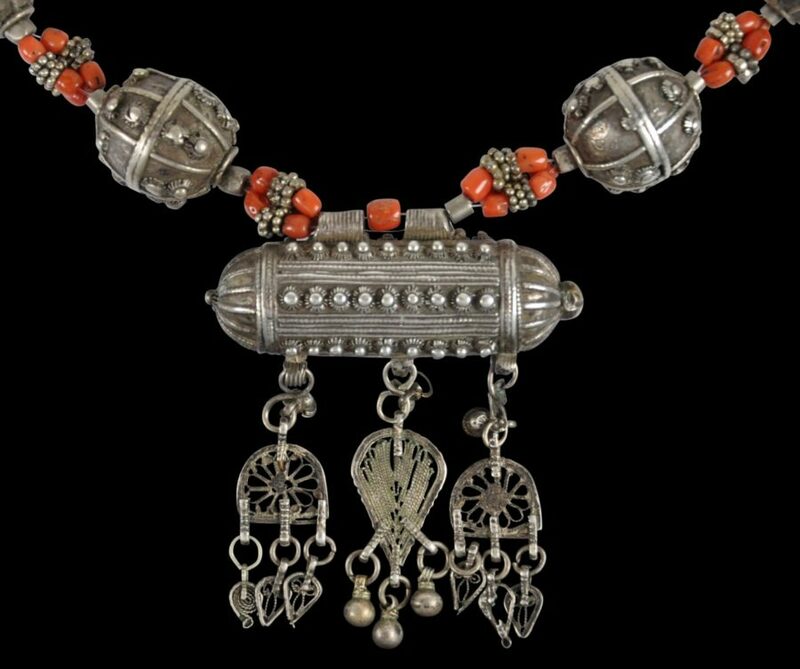 The amulet box does not appear to open but would have contained some protective Koranic verses. The necklace has obvious age, a fine patina, and the expected minor imperfections that come from age and wear. It is stable and has been restrung on nylon cord. It has an easy-to-use hook catch.